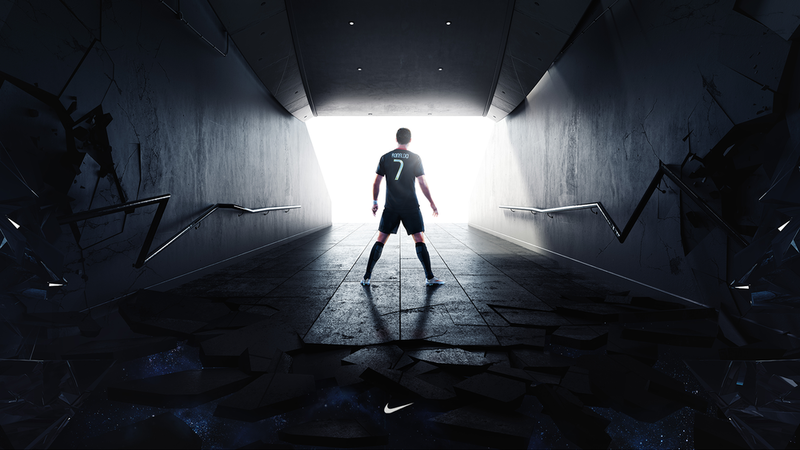 Nike CR7 — Matt Whitewood - designer / director. Brute force speed ripping through abstract time and space. All encompassing within a custom build arena tunnel. For the Nike CR7 Vapor. Working at ManvsMachine, I was responsible for the Art Direction, Design, Lighting, Texturing and Rendering.